Look below for our New Black Accent Weathervanes. 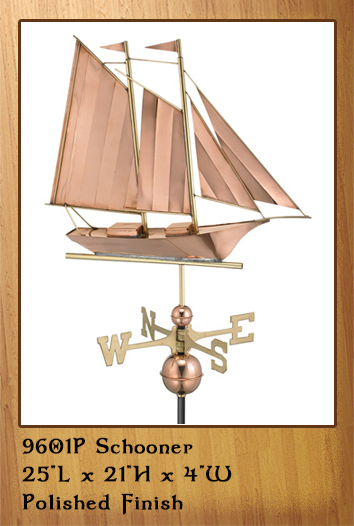 All of our weathervanes are made from copper and are 3-dimensional. 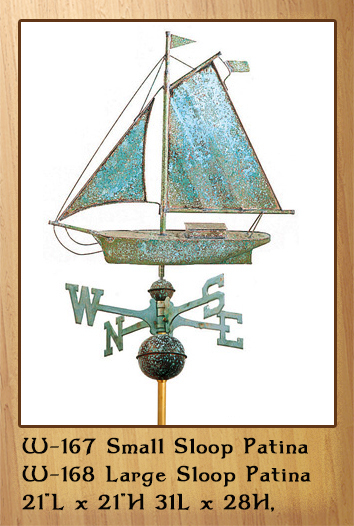 Sail the seven seas with our selection of nautical weathervanes to enhance your cupola or your rooftop. 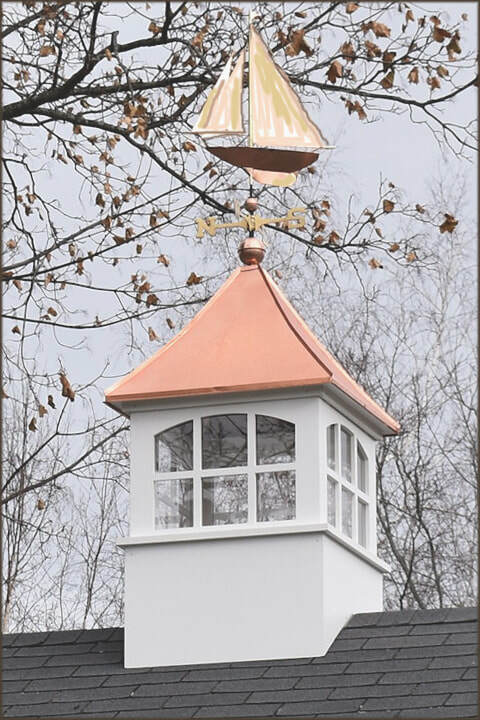 The sculptural detail shown in these weathervanes adds a touch of elegance to any rooftop. 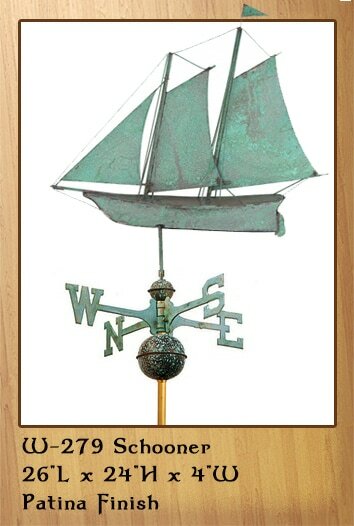 The length and height listed is for the weathervane figure only. Add 16" to the total height for the accessories. 1. The most common modern sailboat is the sloop, which features one mast and two sails. 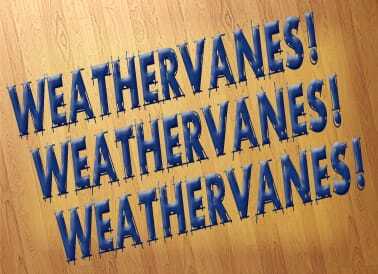 Call 866-400-1776. 2. 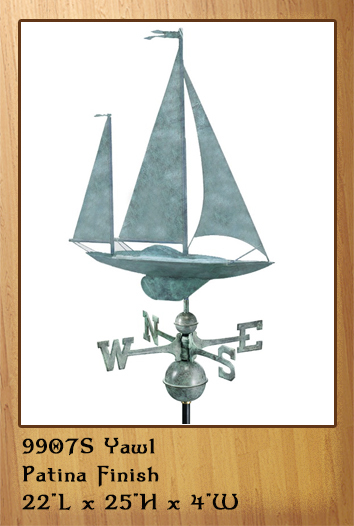 The patina sloop typically has a Bermuda rigged main, and headsail. 3. 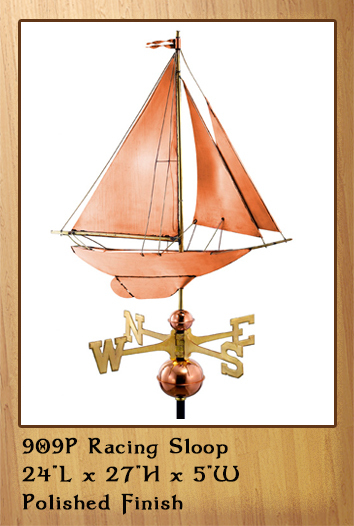 Finishing first in the America's Cup competition, this racing sloop fills its sails from the breeze. ​ your roof or garden. 5. 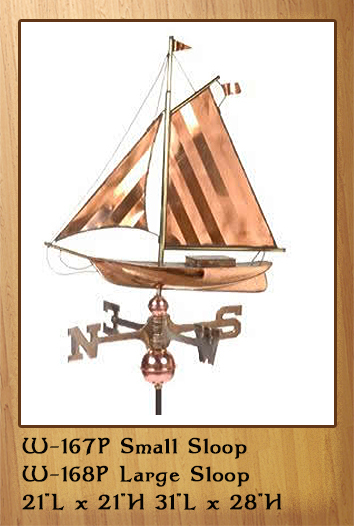 A sailboat or sailing boat is a boat propelled partly or entirely by sails smaller than a sailing ship. 9. 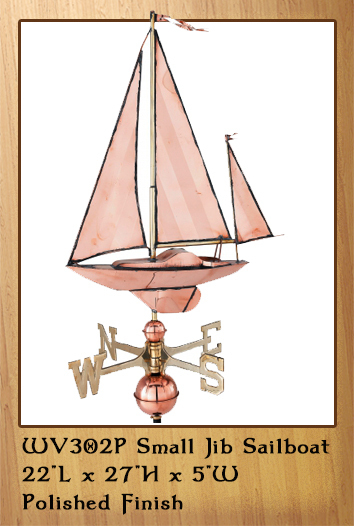 A schooner has a mainmast taller than its foremast, distinguishing it from a ketch or a yawl. 6. Here is another view of the 909P Racing Sloop and the CNC Window style cupola. 10. 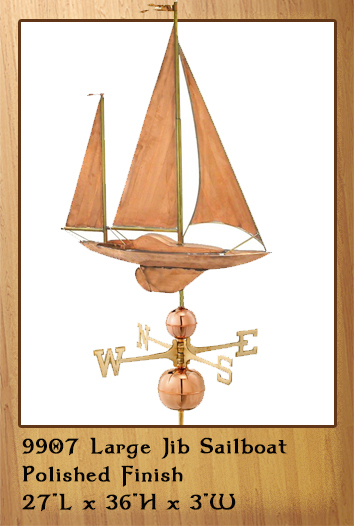 A schooner can have multiple masts, with the foremast always lower than the foremost main. 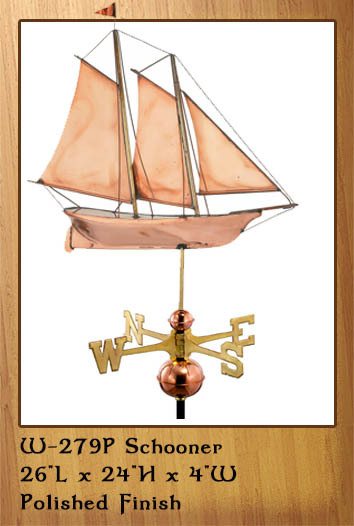 ​sets ahead of the foremast of a sailing vessel. Call 866-400-1776. 11. 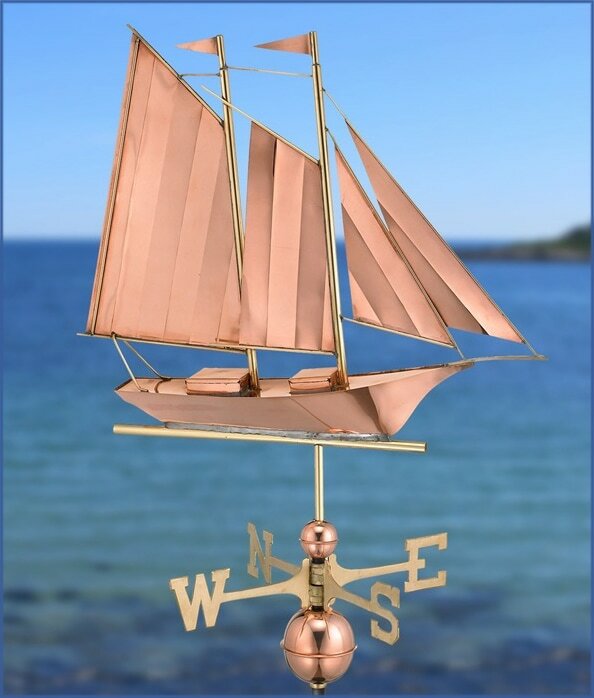 Originating from New England, this graceful sailboat is ready to sail. Call 866-400-1776. 8. 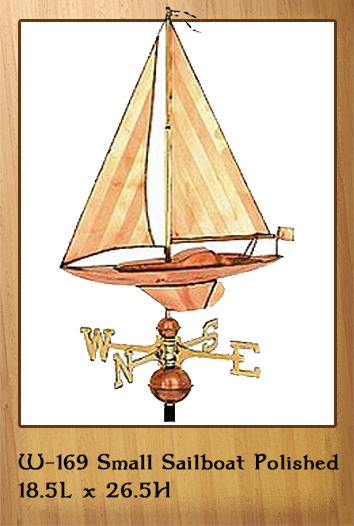 Jibs and spinnakers are the two main types of headsails on a modern boat. 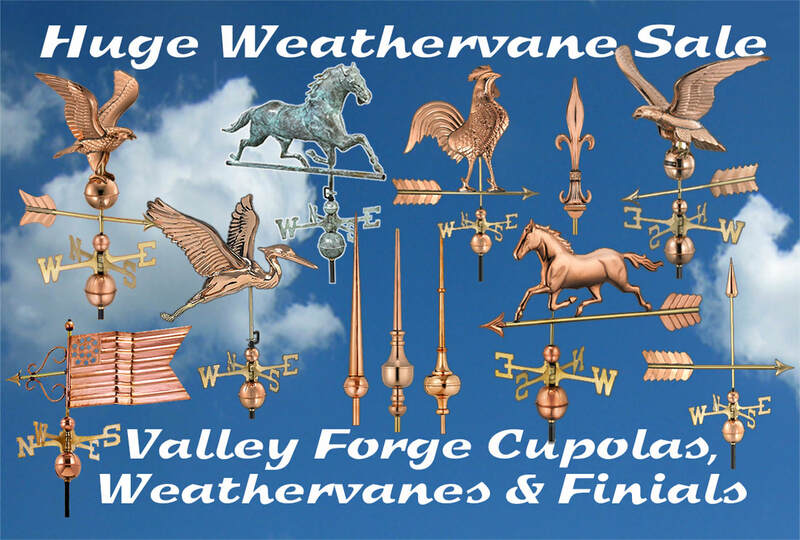 Call 866-400-1776..
Full installation instructions are provided with each weathervane purchase. ​ size, dimension or style.